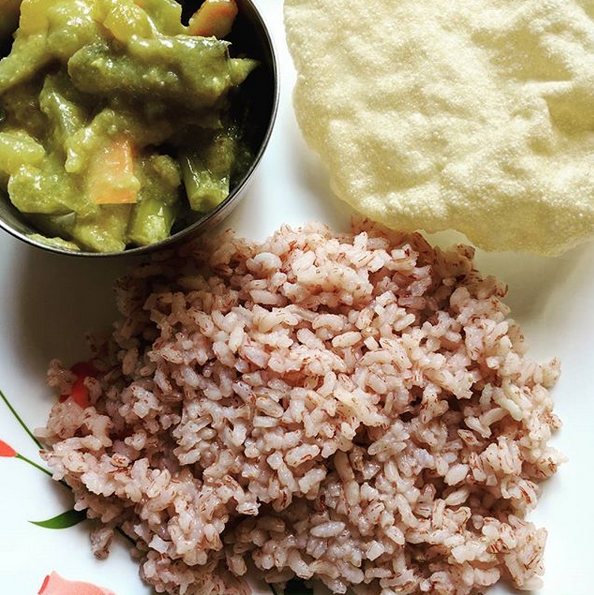 Being a South Indian, rice has always been a staple in my diet since childhood. Though it was hand-pounded rice in the early days, my family switched to the fully-polished silky white rice, just like everyone else in the country. Because of my PCOD related issues, I started looking for alternatives to rice. I turned towards millets regularly since 2013-14. I didn’t move away from rice completely and tried to include millets atleast 3-4 times a week. Around the same time, I also started to look for rice varieties that are healthy, native and have a low glycemic index. The popular opinion that’s been cleverly crafted to spread fear of diabetes is “avoid rice”. Many of us switched completely to wheat, a grain which is not locally grown in South India. 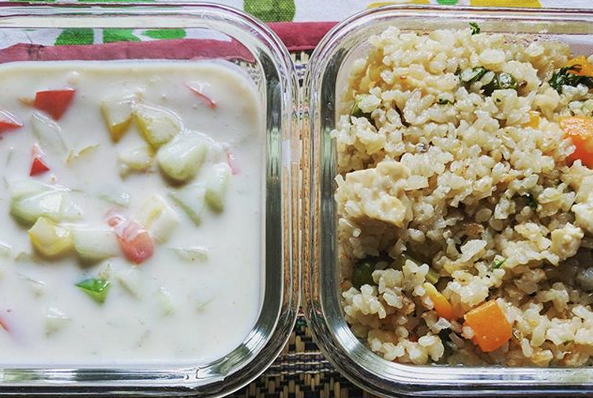 Some of us even took a step further and switched completely to oats and quinoa, both of which are not native to India. As I mentioned in my earlier article on rice, India had more than a lakh varieties of rice till 1970s and now there are hardly 6000 varieties available. Many farmers are currently trying to revive some of the native varieties of rice. They are extremely nutritious, high in complex carbohydrates, vitamins and minerals. They are suited for local weather conditions and are pests resistant, making them naturally organic. So double win, both for our health and for our ecology. A kilogram of any of these rice varieties range from Rs.80-Rs.150. Yes, they are slightly more expensive than the polished white rice (around Rs.50-60 per kg) BUT way cheaper than the hyped-up, imported quinoa (around Rs.900 per kg). The more we embrace such native, indigenous rice varieties, the better the availability and price. Let me share the varieties of rice I have tried and their cooking procedure. I hope to keep this post as a one-stop reference on indigenous rice varieties. So please bookmark it and share it with your friends. 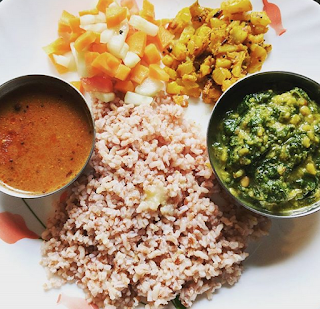 I have included the actual pictures of meals cooked using these rice varieties, so you get an idea on the colour and texture. Suited for variety rice preparations like lemon rice, pulao or biryani. This is a perfect alternative to polished basmati rice. It gives a brilliant aroma while cooking and a nutty flavour. High in fibre and B vitamins. Wash and soak 1 cup of rice for 10 minutes. For 1 cup of rice, use 2 cups of water. Pressure cook for 2 whistles in medium flame. If making the pulao or biryani in a pan, use 2.5 cups of water and cook covered in low flame for 5 minutes. I have tried the boiled rice variety. It is very beneficial for women and helps to correct hormonal disorders. Very filling and tasty. Can be had with sambhar or rasam. Wash and soak 1 cup of rice for 30 minutes. For 1 cup of rice, use 2.5 cups of water. Pressure cook for 5 whistles in medium flame. This is my most recent find and my family looooves it! My daughter goes for 2nd or 3rd serving when I make a peas pulao or veg pulao with this rice. “I love this rice, Amma”, she says. This red rice variety is extremely filling. High in zinc and iron. This rice takes a little longer to cook but very tasty. Has a nutty texture. Wash and soak 1 cup of rice in 3 cups of hot water for atleast 1 hour. Pressure cook for 8-10 whistles in medium flame. This rice is unique to Kerala cuisine. 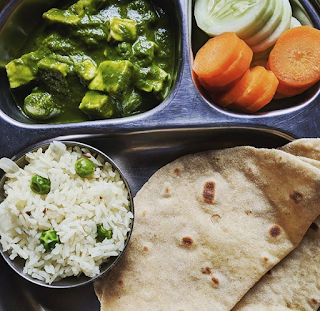 I use the boiled rice variety and goes well as part of a South Indian thali. It is quite filling and you may not eat as much rice as you would normally do. Wash and soak 1 cup of rice for 1 hour. Pressure cook for 6 whistles in medium flame. 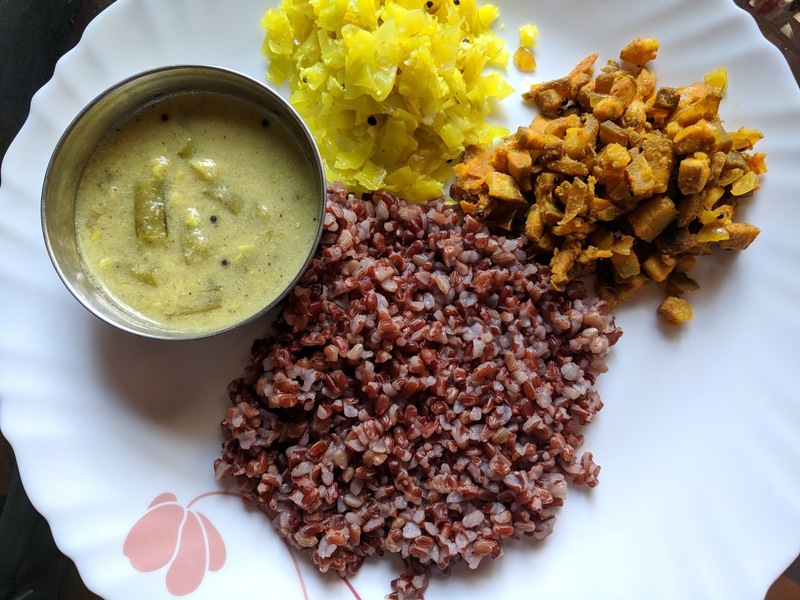 This red rice variety is native to Mysore region of Karnataka. It is easily available in many organic stores across Bangalore. 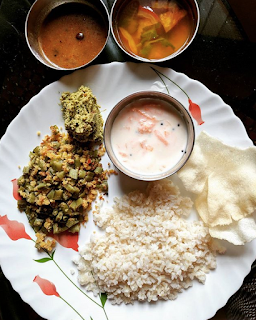 This cooks real fast and can be had as part of a typical South Indian meal. It digests easily and can be given to children too. Pressure cook for 4 whistles in medium flame. I buy this variety of Sona Masoori rice from 24Mantra organic brand. This can be easily cooked and can be had with sambhar or rasam. It digests easily and can be given to children too. Wash and Soak 1 cup of rice for atleast 15 minutes. For 1 cup of rice, use 3 cups of water. Pressure cook for 2 whistles in high flame and 5 minutes in sim flame. I love your post! I never knew we had so many varieties of rice and its health benefits. 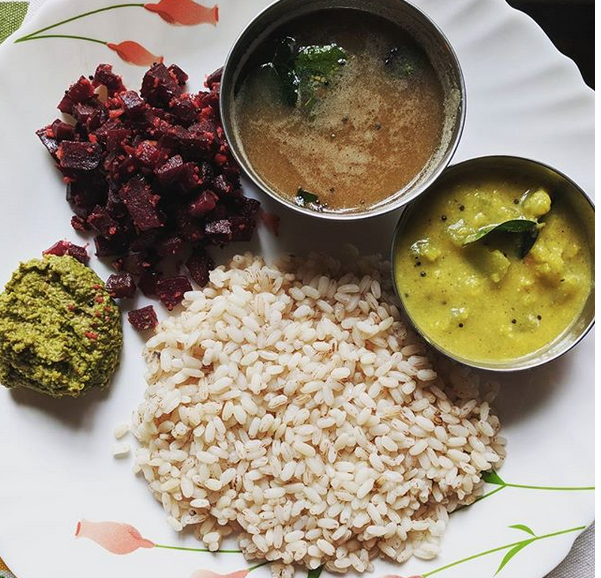 Where do we find these rice in Bangalore?